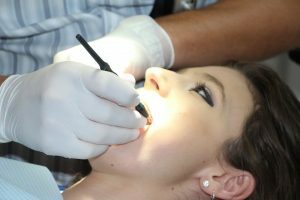 Beyond Tooth Decay, Dental Hygiene in depth | Smile Logic, Inc.
Have you visited your dental hygienist lately? The answer may depend on how highly you regarddental hygiene, but did you know that it is a very important part of youroverall health? If you do not properly care for your teeth, it can lead totooth decay, gum disease, bad breath and even major organ issues. Not brushingyour teeth at all can lead to even more serious consequences to your health. While many people may think that a routine dental cleaning is all about polishing the teeth to make them appear nice looking,but this couldn’t be further from the truth. In fact, this cleaning isperformed by a dental hygienist and it is the removal of hard and soft plaque depositson your teeth. These deposits can lead to tooth decay, as well as a number ofother issues. Having a regular cleaning has been just good dental hygiene.It is recommended that you have your teeth cleaned by a dental hygienist atleast twice a year. For some, it may be necessary to have more cleanings, asmany medications, diseases and illnesses can affect your teeth. If your dentalhygienist recognizes any inflammation or infection, there may be a need totreat it more aggressively. This is while regularly scheduled visits will keepyour teeth healthy. Being at the forefront of your dental hygiene is mucheasier to manage then to try to get in front of dental problems. Not only does decay affect your teeth, it can also cause variousdiseases, pancreatic cancer, heart disease and much more. This is the numberone reason it is important that you visit your dental hygienist on a regularbasis to ensure you have good dental management. There have been many studies conducted, which concludes thatpoor dental care has lead to bigger health issues. The bacteria Porphyromonas Gingivalis was found in thosepatients who suffer with Alzheimer’s. It was found in their brain, but isassociated with chronic gum disease. This bacteria can reach the brain throughtwo paths. The first includes going up the nerves which connect the brain andthe roots of the teeth. The second is through the circulatory system. Whenpatients suffer with bleeding gums, they are more likely to contract this bacteria.It is easier for it to enter the blood stream, as the blood is being introducedto the mouth. While this may be a rare instance, it is still easily avoidablewith routine dental care. Utilizing a dental hygienist will allow you to catch potentialissues quickly, which will lessen your chances of developing bigger health issuesdown the road.